The answer appeared in Joseph Young's Puzzleria! within the past few years. What do you have, man -- some kind of total recall or photographic memory!? I had no memory of this puzzle/answer on my blog. Because Puzzleria! is not really that "search-friendly," it took me until yesterday to find your reference. The puzzle is not one that I created. It is the work of a person who is a pretty regular Blainesville poster. Quicker if you had simply typed the two brands (in quotes) and "puzzle" into a duckduckgo search (or Google if you want to have your info sold!). Result #2. Wow, that worked! Thanks, eco. Yes, that's how I found it, too. I generally do that to see if Will is recycling puzzles again. If I had to rely on my memory, I'd be lost. What brand name for a particular part of an automobile, if you change its last two letters, creates the brand name of a beer? What brand name for a particular part of an automobile, if you change its first letter and add a letter at the end, creates the brand name of a beer?" This coincidence provides us, however, with an opportunity to reflect on how common it it for creative people (like Paul and Steve Baggish, creator of this week's NPR puzzle) to come up with puzzle ideas (or other bursts of inspiration) independently. Did Steve Baggish get the idea for his Heineken/Meineke puzzle by reading the August 4, 2017 Comments Section of Puzzleria? Of course not! That is an absurd notion. He likely has never even visited Puzzleria! Indeed, Mr. Baggish has submitted numerous puzzles that Will Shortz has deemed worthy to use as his Sunday challenge. He is obviously quite creative. And creative people do not need to plagiarize; they simply need to create. I agree with you, but I consider myself to be a creative person, and I just now felt the "need" to plagiarize, which I did above. Yes, I admit it, I plagiarized! I had forgotten my August 2017 post to Puzzleria!, so I wasn't "maddened" by notions of possible plagiarism. My encrypted hint, below, can be decoded here by using the letter "e" as the key. Actually, you can repeat that "e" as many times as you like. You can also use E10, E15, even E85. But if there's any chance your BAC is outside these limits, better follow Blaine's example and turn your key over to a designated driver. Damn good puzzle! And it has a strong connection to last week’s puzzle! 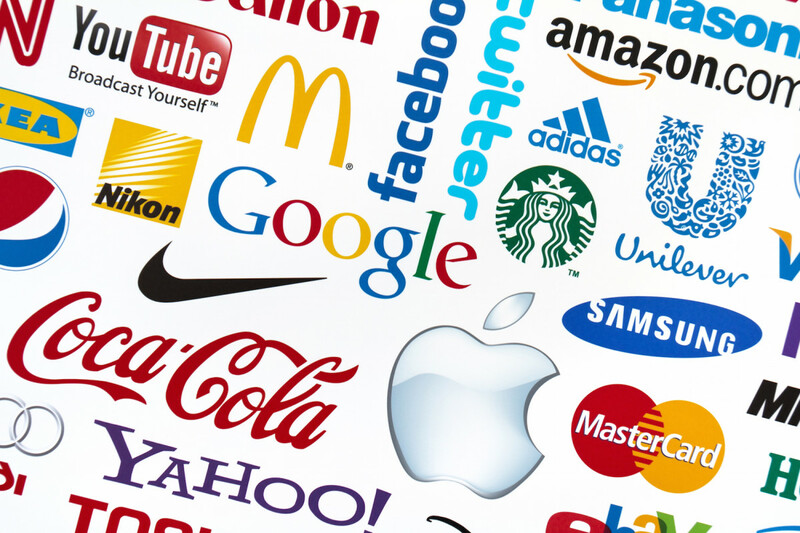 Blaine - I think some users of the first brand may find themselves using the second brand. The M brand wasn’t at all familiar to me. If you take the H brand and substitute one letter for the last four letters, you get a far more famous brand name.
. . . or miss out! It’s like looking for a needle in a haystack. Gold star if you solve this puzzle. Or looking for a haystack in Iowa. Not to hard to find, even if your search is completely aimless. Heineken got into the beer-making business by buying another brewery, called De Hooiberg, or The Haystack. Which of course reminds us of Fred Hoiberg, one-time star and later coach at Iowa State, located in Ames, Iowa. I have enjoyed working here these past several years. You have paid me very well and given me benefits beyond belief. Have 3-4 months off per year and a pension plan that will pay my salary til the day I die and then pay my estate one year salary death bonus and then continue to pay my spouse my salary with increases until he (or she) dies and a health plan that most people can only dream of having--no deductible whatsoever. Despite this, I plan to take the next 12-18 months to find a new position. During this time I will show up for work when it is convenient for me. In addition, I fully expect to draw my full salary and all the other perks associated with my current job. Oh yes, if my search for this new job proves fruitless, I will be coming back with no loss in pay or status. Before you say anything, remember that you have no choice in this matter. I can, and I will do this. First brand most people will think of. Could have been challenging without giving the specific letters. The H brand I thought of right away, first one. Had to check the M brand to make sure it was spelled like that, but I got it for sure. Now I'm really confused. He didn't say if the dropped letter is dropped to the left, right or just flopped over. Trump's tweets in response to the Mueller report are a hint to this puzzle. I’m glad Blaine wouldn’t otherwise put these two brands together, although I think unfortunately many people find themselves making use of the latter after they or someone else has made use of the former. I first thought about giving this puzzle a gold star, but realized that would be a rookie mistake. Concurrent use of the products of both brands is ill advised. Interestingly, the H-brand is larger when you remove its third letter. Overdue for the second, too early for the first! Finally after not getting the answer to the last 2 puzzles, I can celebrate the fact that I finally got this one. L'chaim! Musical clue: Divertimento for the PianoForte. La aŭtoro forigis ĉi tiun komenton. Mi ĝojas, ke mi ne komprenas ĉi tion! Наверное, лучше поздно, чем никогда! The world is full of coincidences and similarities. For example Turkey has Recep Tayyip Erdoğan and our country has President Merd o' Gain. The answer is obvious. WS did not say where the brand is well-known. Herrells is a famous chain of ice cream shops in Massachusetts and NY, based in Northampton Mass. Wolverine Worldwide bought from Karhu the Merrell brand of shoes established in 1981. Thu works, but I am sure it is not WS' intended answer. What! Herrell’s brings back fond memories. There was one about a block away from my first off-campus apartment in Allston, MA. The original shop was known as “Steve’s”. Sadly, the apostrophe will probably DQ that answer. Interesting, but to one who lived many years in New England, the term, "Visiting the Mothership," meant a trip to Freeport Maine, to shop at LLBean's flagship store. I hoped to find Nabil Tamer's (on-air contestant) challenge of 20 years ago to compare the quality of this pastime. All my sources for that long ago have dried up, so I used Blaine's report of ten years ago this week. Now, take R F E and R. Insert a trigram twice somewhere in these letters to complete a familiar two-word phrase. What phrase is it?" I think it may be a better puzzle, but interesting are the fewer comments, the fact that answers apparently waited til Sunday and that maybe Natasha was the only player from then who is still around. We do still occasionally hear from Lorenzo and phredp. Were you that Natasha, Natasha? Mendo: I just looked at the post and recognize it as mine. Still around and no call to this day. Strange that no others on here were posting at that time. These two products must go well together; I've seen them both in the same bowl. Revisiting last week's puzzle: Take the letters S Y T O Y. Replace two of the four letters by the letters 16 positions ahead of them in the alphabet. The result, phonetically, is a common four-word phrase. Take the letters S Y T O Y. Replace them with Z I P A Z. Rearrange the five letters to form a popular food. What is it? "The internet is a bunch of tubes." Q: And what do you call a dead deer with no eyes? Q: "What do you call baby deer droppings left on your lawn?" Q: "What do you call a fish with no eyes?" The Seattle library finally received their copies of "FREE SOLO" and I got mine today and just finished watching it. I began rock climbing over 43 years ago and knew parts would probably be difficult for me to watch because I know how intents climbing El Capitan solo is. I finished watching it now and I have to admit that I had to pause a few times even though I knew he made it okay. It is a film I would highly recommend to anyone to watch. It was filmed by the incredible Jimmy Chin and a team of very experienced climbers. It takes a lot to make me at all nervous watching any film, but this one sure did. I've never heard of anyone climbing El Cap in tents. I've watched from below, the only good thing is they only look like little dots, so you can (sort of) make their experience a vague abstraction. You must be confusing tents with Tenzing Norgay. Tenzing Norgay was not happy with the wages payed him by Sir Edmund Hillary, when they climbed Mount Everest in 1953. Tenzing complained so often that Edmund finally had to remind him that he was being "payed to scale". That is correct. 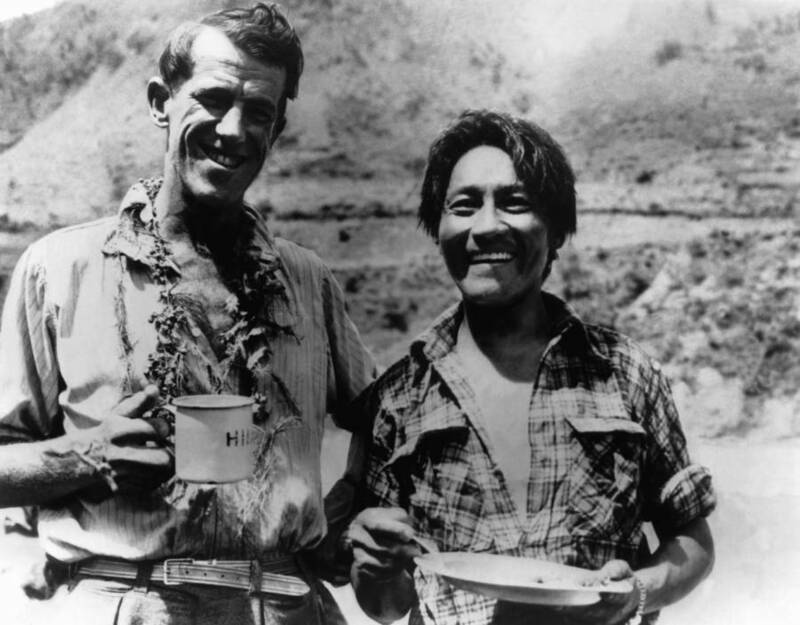 Tenzing Norgay wanted higher wages. Not sure I could watch that.But will keep a lookout for it. Channeling SDB: Do audacious opticians who get too involved in their work make spectacles of themselves? Only with their close contacts. Given all the puns you folks have been doing lately, does anyone remember the "Tom Swifties" from the 1960's? The only one I can recall is: "I dropped my toothpaste," he said, crestfallen. Thanks for your reminder about this great form of wordplay, Clark a pseudonym. The "crestfallen" one and SuperZee's "hot dogs with relish" are also two of my favorites. Don't you love sleeping outdoors," Tom said intently. "I'm wearing my wedding ring", said Tom with abandon. "I just swallowed a fishing lure", said Tom with baited breath. If you want to spend an hour or two smiling, chuckling and occasionally growing here is where you can go. "Occasionally growing." Yes, that happens many days, Lego ;-). And let us not forget the (probable) father of them all, "I'm in a hurry," said Tom Swiftly. "What was Will thinking this week!? ", asked Tom quizzically. Thanks, Word Woman. Without the likes of you and Violin"Tedditor" over on Puzzleria!, My voluminous literary defects would go undetected and uncorrected. "I'm a fan of Victor Hugo," said Les, miserably. "Who knew this was a topic for scholarly research? ", asked Tom collegially. Also, check out the acrostic in Sunday's New York Times. This late in the week, and still no good clue has bubbled out of me. So, I'll just head to work and keep quiet about this one. Curtis, don't forget your keys! “Gone fishing” refers to the red star on the HEINEKEN bottle. Antares, a red star, is the fifteenth-brightest star in the night sky, and the brightest object in the constellation of Scorpius, also called the fishhook constellation. Distinctly reddish when viewed with the naked eye, Antares is a slow irregular variable star that ranges in brightness from apparent magnitude +0.6 to +1.6. "Curtis, don't forget your keys!" >>> Meineke >>> Mine a KEY. At the end of last week I wrote "Some puzzles grow old, some start out that way." Older, Budweiser. > Put a sock in it. > The answer appeared in Joseph Young's Puzzleria! within the past few years. > Musical clue: Divertimento for the PianoForte. By Christopher Meineke (1782-1850), dedicated to C. H. Heineken, Esq. Christopher Meineke (1782-1850) was organist at St. Paul's Church in Baltimore. One of his publications was "A New Instruction for the Piano Forte." In 1825, one could purchase (at Willig's Music Store on Market Street in Baltimore) Divertimento for the piano forte, with an accompaniment for the violin or flute ad lib, in which are introduced the favorite airs of Pipe de Tabac, Di Tanti Palpiti and the Drunken Sailor or Columbus, dedicated to C.H. Heineken, Esqr., by C. Meineke. This is one of my all-time favorite hints on Blaine's blog. Bravo, jan! If you take the H brand and substitute one letter for the last four letters, you have a far more famous brand name: HEINZ. And Paul authored the same puzzle. See comments on Lego's Puzzleria of August, 2017! “Damn good puzzle” as in Amsterdam where Heineken is headquartered. The connection to last week’s puzzle is that there are once again six E’s in the answers. Sorry about being late to post. Yesterday, I decided to visit a local park with a 4.7 mile lakeside trail. At about the 2 mile point, the trail was washed out - but I thought, if I was careful, I could just get around the worst of the mud. I was wrong - but muddy or not I finished the walk. By the time I got home, washed the mud out of my shoes and socks, hosed off my jeans, put them in the washer, and showered...I'd totally forgotten it was Blaine Day. Heineken/Meineke My comment advising against concurrent use of these products, requires no explanation. "Between 1955 and 1961, a group of white and black condemned soldiers lived on death row at Fort Leavenworth military prison. Although convicted of equally heinous crimes, all the white soldiers were eventually paroled and returned to their families. The black soldiers were executed. Today, we learn about the disparity in capital punishment, one that was cut strictly along racial lines." Anyway, it's a good listen, even considering the horrifying subject. The actual interview starts at about the 28:51 mark. Just double click a little bit to get there. Didn't even suspect that. Thanks 68. "According to Dwight Sullivan (see above), "While the number of servicemembers under death sentence is fairly small, the racial disparity in military death penalty cases has been distressingly persistent. During World War II, African-Americans accounted for less than 10 percent of the Army. Yet, of the 70 soldiers executed in Europe during the war, 55 [79%] were African-American. After President Truman ordered an end to the armed forces' segregation in 1948, this racial disparity actually increased. The military carried out 12 executions from 1954 until the most recent one in 1961. Eleven of the 12 executed servicemembers were African-American." BTW, it was on NPR, not PBS. Why is Elizabeth Warren trying to get rid of the Electoral College when Betsy DeVos is the one who is most known for being against education? DeVos wants the Electoral College to be run as a private for-profit enterprise. Getting closer every day. ...and she could be the recess disappointment. The only person less qualified for their position than Betsy DeVos is the person who nominated her. Will Betsy DeVos be competing in the Special Olympics this year? 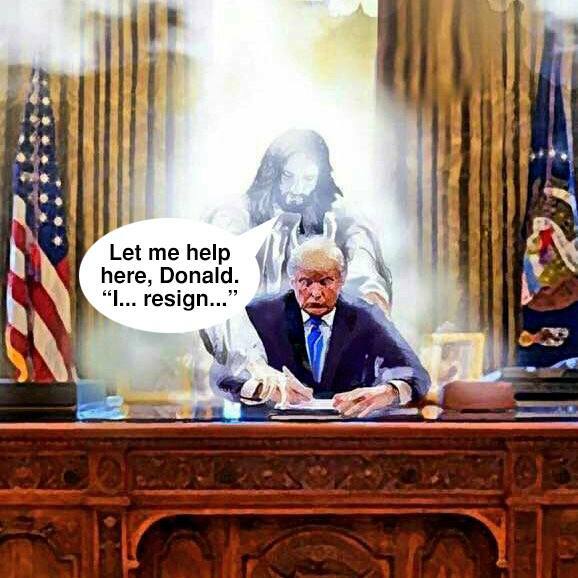 Perhaps fearless leader needs spiritual help! Is EXPUNGE a medical term most surgeons would rather we, the public, did not know? I'll be eating some of this tonight, but it certainly isn't something I'd eat at the movie theater! --Margaret G.
It's frequently sold at certain movie theaters I've been to. It's in a highly processed form. Naming the type of movies shown might give it away. Popcorn in movie theaters isn't universal. I once watched a film in Israel, where sunflower seeds are more commonly eaten. After the lights come on, there are piles of sunflower seed shells on the floor to be swept up. "More than 1320 responses" this week.